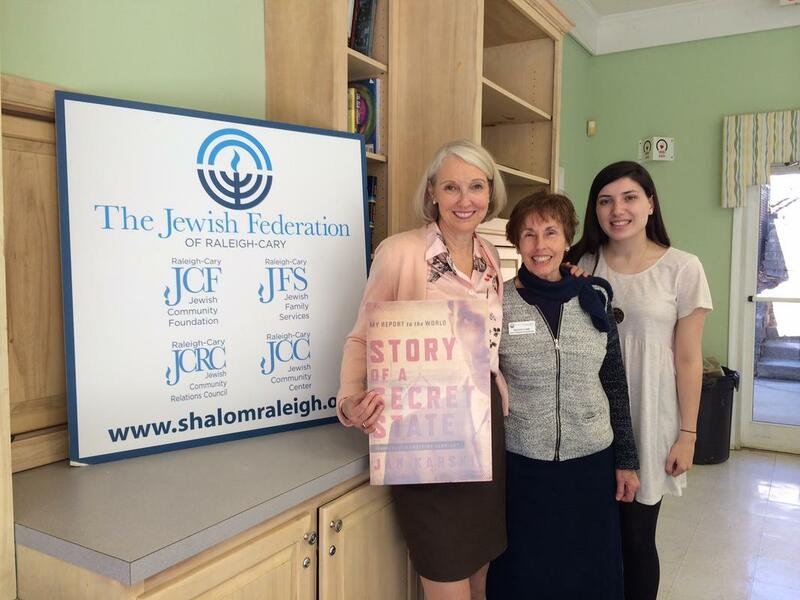 On Wednesday February 11th, the Jewish Federation of Raleigh-Cary hosted Wanda Urbanska, President of the Jan Karski Educational Foundation, to speak on the life and legacy of Jan Karski over luncheon. The presentation, entitled “Jan Karski: WWII Resistance Fighter,” intertwined Karski’s life work with the history of Polish sovereignty and Polish-Jews. 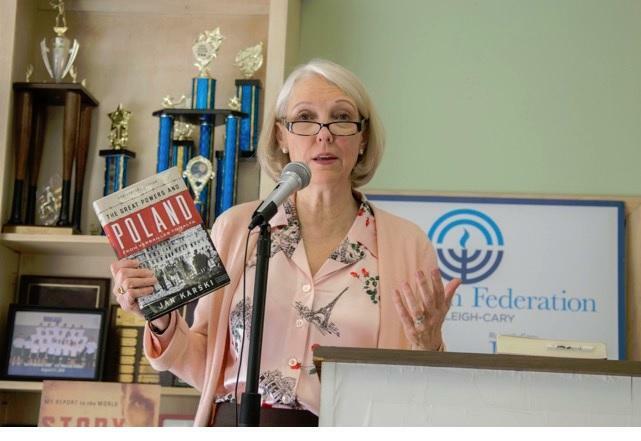 Ms. Urbanska discussed the dehumanizing treatment the Poles witnessed -- and received -- during World War II, noting how both the German Nazis and Soviets used degrading terminology and policies to assert force, power, and authority over the Poles. “When you go into dehumanization, you have to start with the labels,” said Urbanska, pointing to such phrases as “Polish swine” that were commonly used by the Germans to degrade the Poles. Her comments illustrated the parallels between the treatment of Polish Jews and Polish Catholics under occupation during World War II. 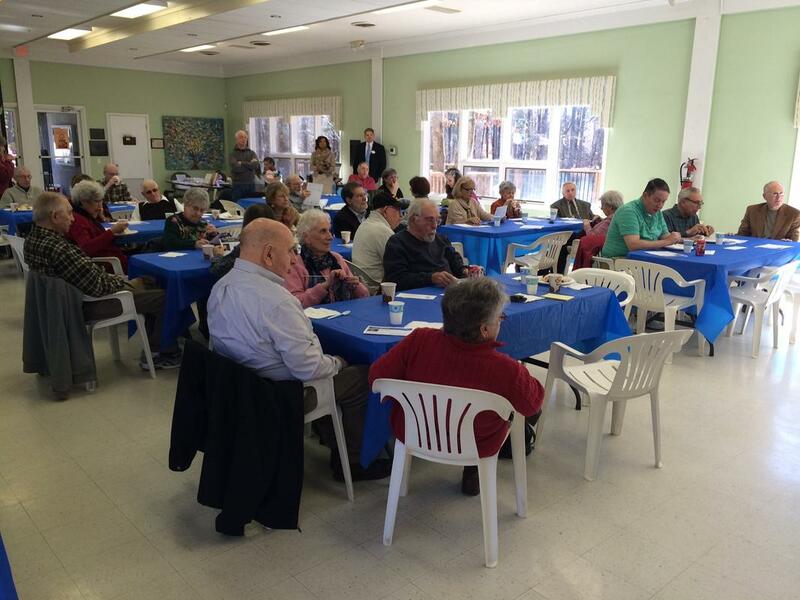 President Urbanska drew explicit parallels between the experiences of these two groups of people. One such connection was the Polish Underground’s Żegota, the only arm of an underground resistance organization in occupied Europe at the time specifically aimed to aid the Jewish people. While not directly a part of Karski’s work in the Polish Underground, the existence of Żegota demonstrates how the Polish Underground prioritized the experience of the Polish Jews, who were marginalized and oppressed by the Nazi regime. The connection between Polish and Jewish experiences served an underlying theme of Urbanska’s discussion, with the two parties being described as “interlinked cultures.” Urbanska asked questions to audience members about Polish history and World War II and distributed Karski Foundation pens to reward those who answered questions correctly. A high level of interest in the presentation was demonstrated by the attendee’s follow-up questions and personal testimonies. 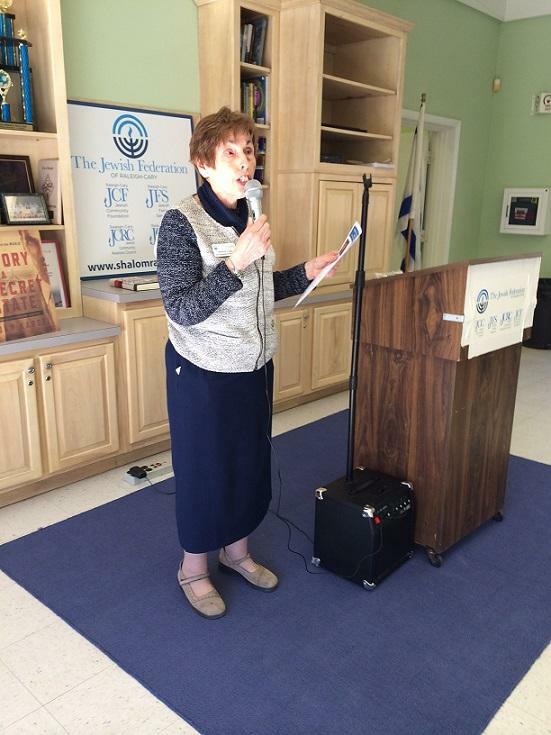 Wanda Urbanska's "presentation at the JCC Speaker Luncheon was terrific," said Maxine Ershler Carr, who introduced the speaker. "At the end of the talk, people mentioned to me that they had learned a lot and how much they enjoyed the talk. Until last Wednesday, Jan Karski was virtually unknown to most of us." President Urbanska intertwined the engaging story of Karski’s life detailed in his bestselling memoir Story of a Secret State into her lecture, sharing his narrow escape from the Soviets prior to the Katyn Forest Massacre, his passionate work for the Polish Underground, and his famed 1943 meeting with President Franklin D. Roosevelt. Karski’s acts of bravery could be better appreciated and contextualized when examined alongside the knowledge of occupied Poland provided earlier in the discussion. Together, these two aspects of Urbanska’s presentation provided an enriching afternoon. Article by Frances Cayton, who is a freshman in the honors program at the University of North Carolina in Chapel Hill. She interns for the Jan Karski Educational Foundation.